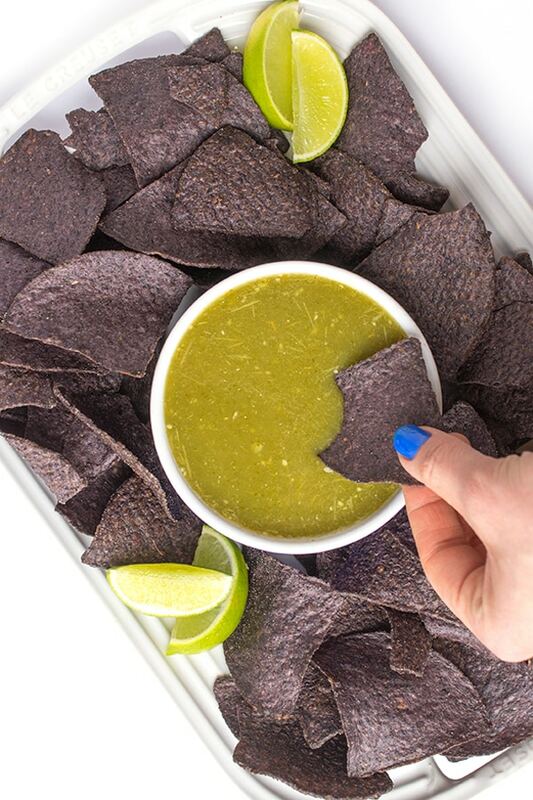 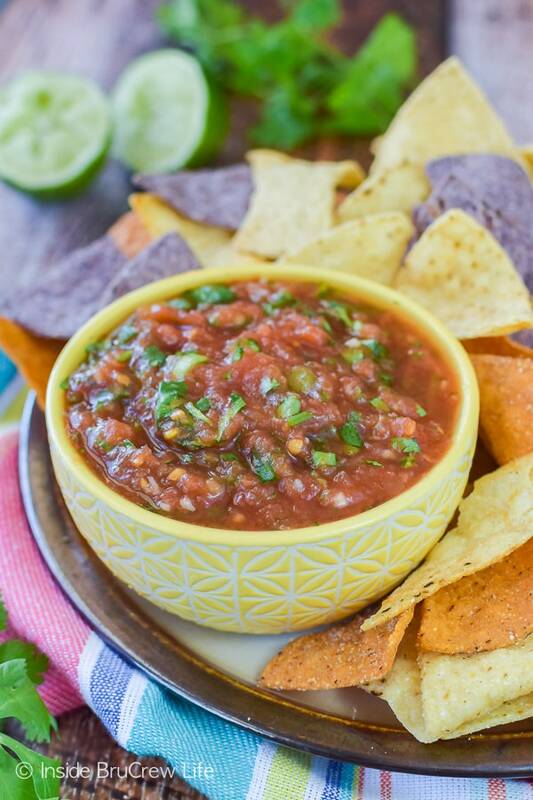 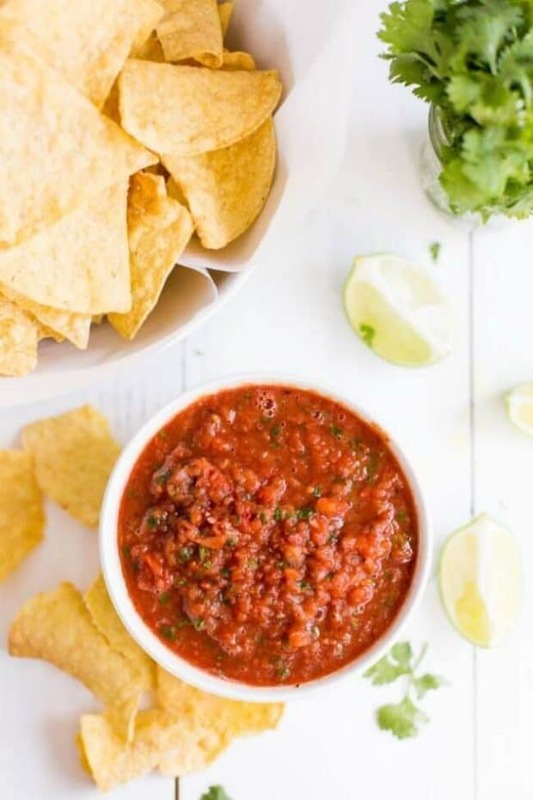 Fresh, homemade salsa scooped up on a crunchy chip might just the be one of the most perfect bites EVER! 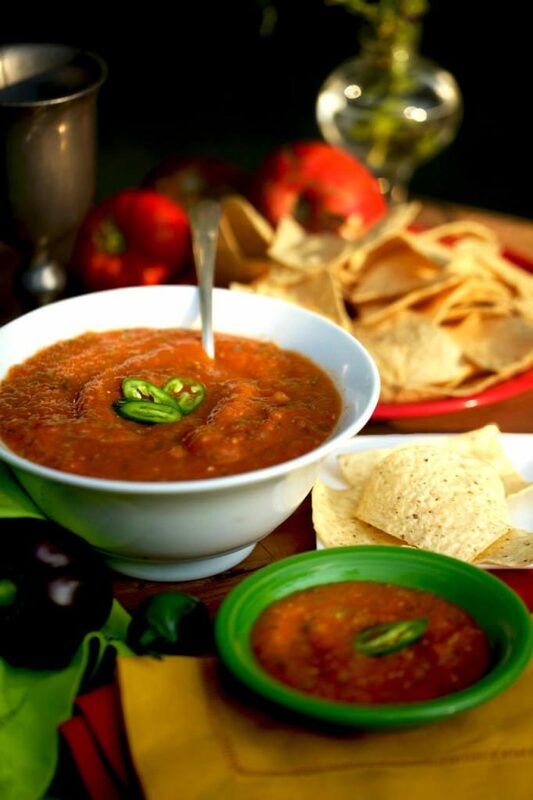 If you’re a salsa lover, like me, then this collection of 12 SUPER SALSA RECIPES is for you. 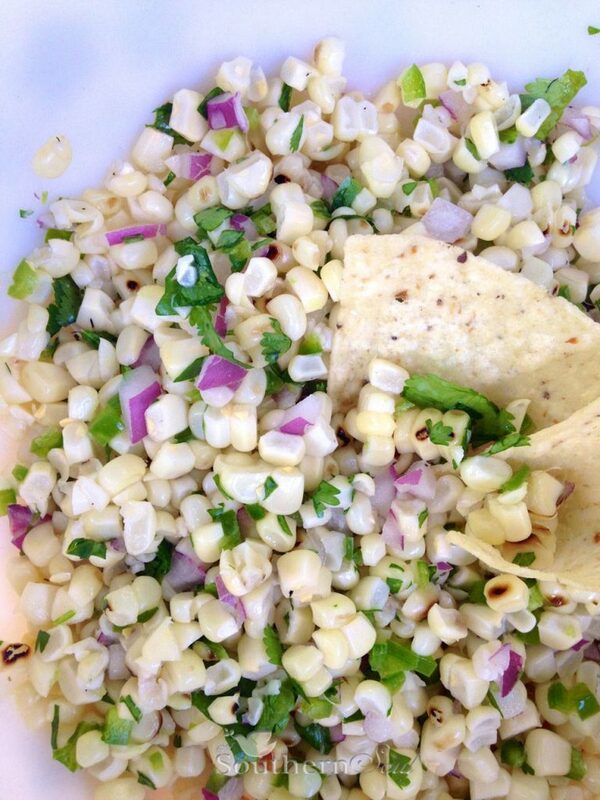 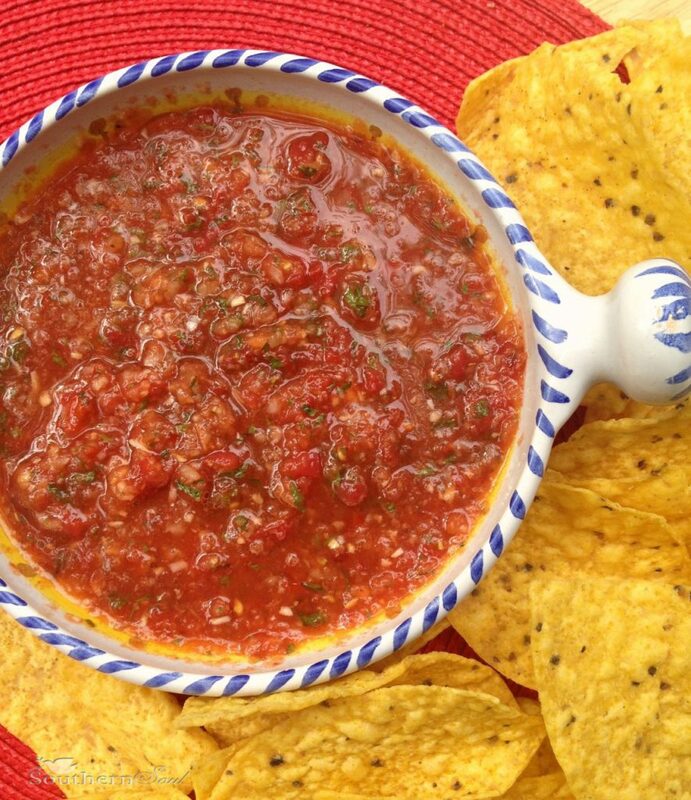 There’s just something special about fresh salsa. 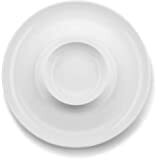 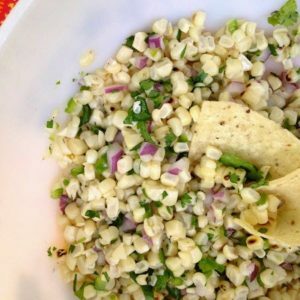 It’s an uncomplicated dish and the flavor combinations can be absolutely magical. 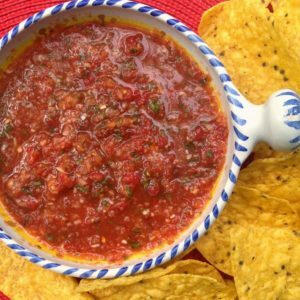 I honestly admit, I’m not sure I’ve ever tasted a salsa I didn’t like so…I decided to gather up a few of my favorite recipes from some of my blogging friends. 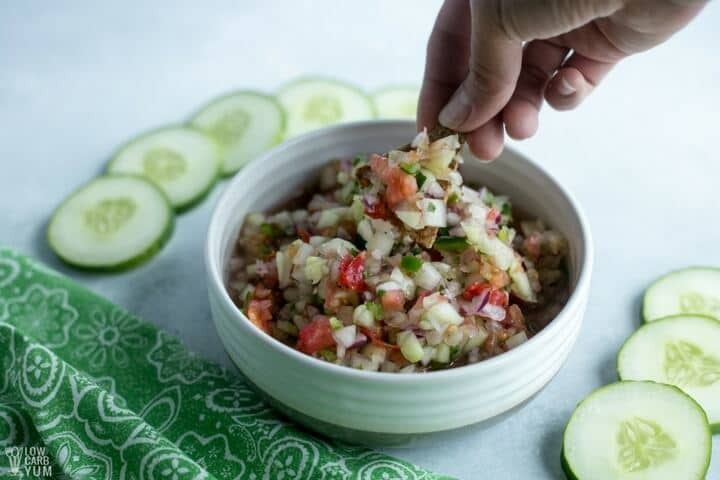 Most of these recipes only require a little chopping and some can be made in a food processor. 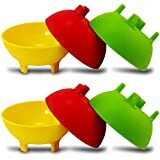 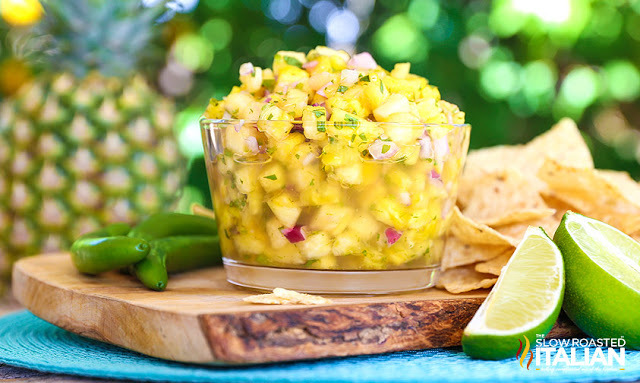 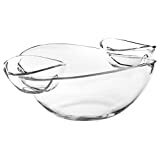 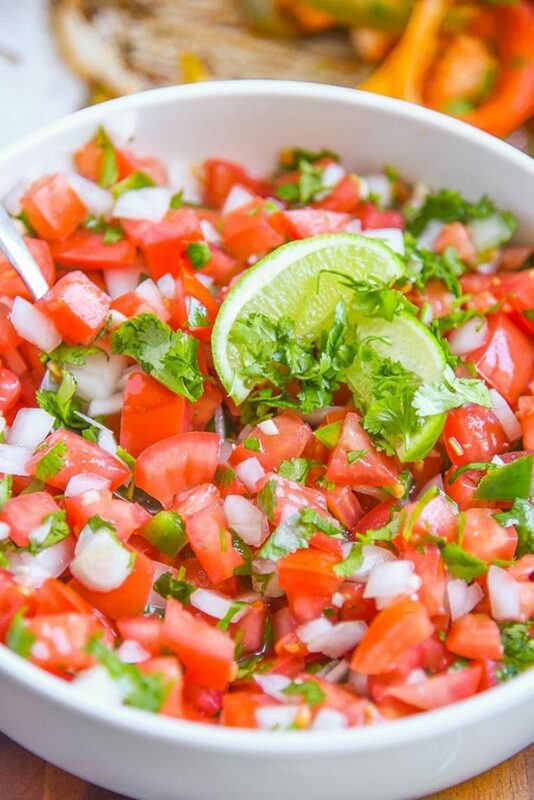 There’s also a few, sweet salsas which are perfect for serving with grilled meats and fish. 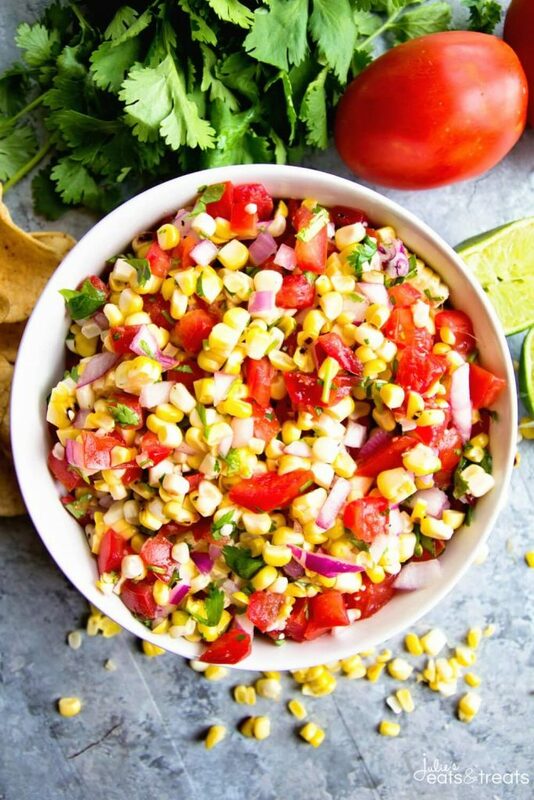 These recipes are also wonderful to serve during the summer months since they are not made with ingredients that have to be served cold. 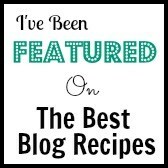 Now, let’s stop talking about these incredible recipes…let’s get this party started! 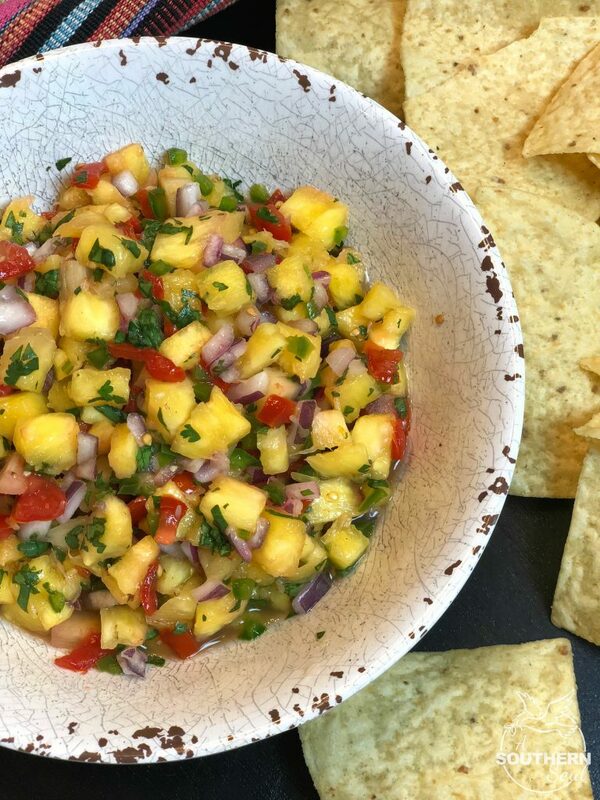 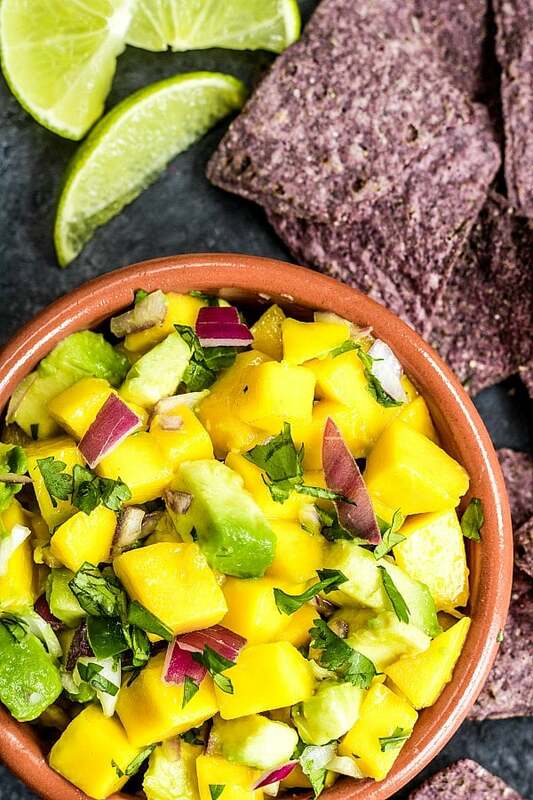 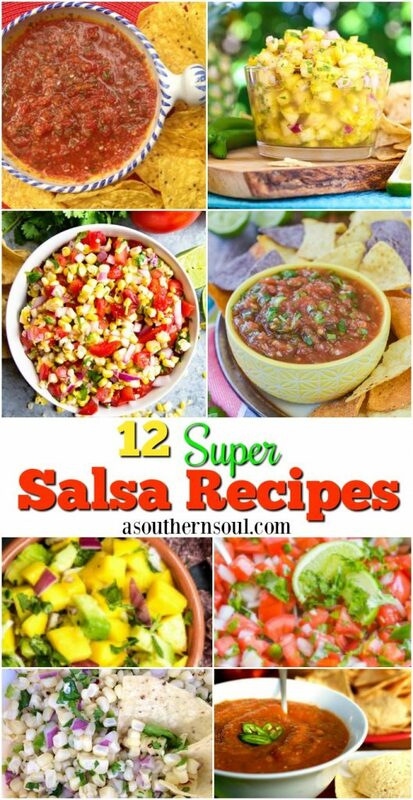 Make sure you PIN this collection so that you’ll have ALL 12 great salsa recipes together!